Let me be the first to welcome our pink invisible Chinese overlords. If they are invisible how can they be pink? Stare at the image behind this link for 20 seconds, then look away at a white area of screen. Then google Kanizsa illusions and read up on it. The brain can construct all manner of realities that have no physical correlate. Invisible Pink Unicorn is an exercise in semantics that falls at the first fence, so to speak, when used as an anti-theological argument. FSM is far more effective as a tool for debating religious fervour. If the posted example of a trick in the operation of the retina is a physical thing, how can it be an imagined reality? It's defiantly a failure in description, the trick with the visual system is the visual system we are referring to, not the "unicorn". But the workings of the visual system are defiantly real. So is the logo of a pink unicorn. Which suggests the name "invisible" is the failure of those naming it, not the reality. "how can it be an imagined reality?" In the case of an after image, then, yes, there is something physical going on. But what about the Kanisza illusions? This becomes an exercise in semantics. It's not "real" because there is no pink unicorn there, or even a picture of a pink unicorn (c'eci n'est pa une pipe), but it IS real, because it is a physiological difference in firing patterns across certain retinal ganglion cells and other neurones in the visual pathway up to, including and beyond the visual cortex. "Teach it phenomenology, Dave". It's invisible because no-one else can see what you can see, at least those who haven't seen the green unicorn first in the same way you did. As my ex-boss and professor of neuroscience who spent a 50+ year career studying the visual system always said "If you perceive it, then there's something to be explained." So "real" has as vague a definition as "God". I agree with your point about people thinking about themselves. Really? It took Bertrand Russell and Alfred North Whitehead 378 pages of exquisitely painful maths to prove that 1+1=2. At least they got there in the end, though. > So "real" has as vague a definition as "God". There is some difference in quality. How do you people take a story about an invisibility cloak, or near invisibility cloak as the case may be, and turn it into an opportunity to take a poke at religion? Honestly, what difference does it make to you if someone else believes in God or invisible pink unicorns or flying spaghetti monsters or honest politicians? > what difference does it make to you if someone else believes in ... honest politicians? *sigh* I think you, unlike your real bullet, have missed the point. I did not equate "God" with "real", merely pointed out that both terms are open to interpretation. There is a common, broad understanding of the words which suffice for day to day use, but as with just about anything there are occasions where the commonality of that understanding will break down and exceptions can be found. 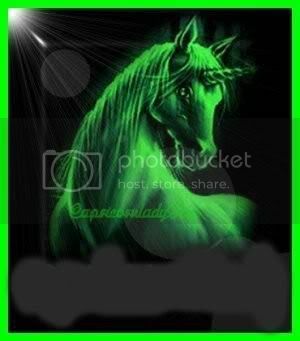 Is the afterimage produced by looking at a green unicorn real? It doesn't exist, you can't touch it, it can't hit you in the eye, yet I perceive it, so it is real. What is reality, man? EDIT @ SISK. Sorry, I got sucked in. By the pink unicorn of all things. I'm assuming that "invisible pink unicorn" is intentionally oxymoronic, however for most definitions of invisible it relates to a physical object that is currently not visible; it is entirely possible to take a pink unicorn, apply the invisibility to it, and thus produce an invisible unicorn which would otherwise be pink. This would be to differentiate it from, for instance, a blue unicorn which has been made invisible (everyone knows that the blue ones are male, and the pink female). Since there are therefore obvious physiological differences between invisible blue, and invisible pink, unicorns, I would argue that the oxymoronic full appelation is in fact warranted in a variety of situations, to aid in clear and concise identification of the invisible intruder in question. Agreed! Now, where did I put my copy of Command and Conquer? How dare they! Doesn't the United States have the exclusive right to say who can speak of "defence security", and who must instead refer to the same work as "terrorism technology" (vis *.gov)? The pure white of American Christian Capitalism mixed with the blood red of Chinese Communism? Actually, I was going to make some lame pun alluding to invisible pink unicorns and failed to delete 'pink', but your explanation works better. BTW, what do you call a mixture of red and black (as in Communist and Evil, as it were)? I'm not a native English speaker, you see. A darker shade of red? @phear 46 Re: "pics.......Or it didn't happen." In aircraft combat how useful is this? Surely thermal imaging and heat sinking missiles, as fitted to fighters for donkeys, would be totally unafected by this pimp my light bend bendy shizzle? I'll get my coat, as you're bound to tell e that we don't all have FLIR goggles. Re: In aircraft combat how useful is this? They would be the fastest, loudest birds ever witnessed. Re: "They would be the fastest, loudest birds ever witnessed." Would we be talking about a "sonic squawk" when they broke the sound-barrier? The green pigs will be shitting themselves now. Umm, maybe because IR is light too? If you can change one heat signature into two that's not going to make you invisible, but you'd have a problem targeting.. So to those who think research and development is going to stay in the West while the East slavishly manufactures our goods cheaply - care to rethink your position? Not sure I know anyone who thinks like that. I just hope the Chinese become the next superpower using economy, rather than war. Presumably this research is for their own protection in case the USA won't go down without a fight. For the record, I'm a global citizen with interstellar potential, so have no allegiance to any particular form of governance. Meanwhile they still succeed in persisting the illusion that they are Communists. >History shows every superpower rise starts with economy which provides the means to build a large military then the muscle flexing begins, which results in wars. Creating wealth through trade (and and raining taxes for courts so that traders resolve disputes rather than stab each other) makes your fledgling city city state an attractive target for the hordes outside the gates. So the second thing taxes pay for is defence. But yeah, China isn't daft and is investing in R&D and the mechanisms to support it. "Not sure I know anyone who thinks like that. I just hope the Chinese become the next superpower using economy, rather than war. Presumably this research is for their own protection in case the USA won't go down without a fight." History shows every superpower rise starts with economy which provides the means to build a large military then the muscle flexing begins, which results in wars. China is no different and they are already muscle flexing on weaker nations in their region. Just look at their territorial disputes going on right now. I've always wondered, if you're fully cloaked, so all EM radiation is bent around you, how do you see where you're going? You use BS (Bruise Sensing). The only problem there is that after a couple of heavy impact either sensitivity changes or speed goes down..
Would this be a useful defense against energy weapons like lasers? If so flak might make a come back. just drone swarms - should be able to make some pretty impressive drone domes with mass produced drones that would detect anything passing through - or take them out if they hit. Just give me enough alcohol. "These effectively scatter the incoming light to distort the object – making it appear smaller – and create two “ghost images” on either side of it"
Can I be first to patent its use as a fabric for fashionable clothes? "Nope. All 6 of your buttocks look remarkably pert, but the 4 outside cheeks look a bit fuzzy"
The point about invisibility cloaking is that you can't disappear by hiding behind a picture of nothing, so you need to do some fancy light bending instead. But you can look like a tree just by hiding behind a picture of a tree - or even a real tree. So how is this any better than a picture of a tree, or conventional camouflage? light bending (in its perfect form) you could hide while standing in front of the tree (or anything else) anyone looking at you would see what is behind you. >So how is this any better than a picture of a tree, or conventional camouflage? Because you don't need a tree. The human eye is well trained to pick out the human form... anything that breaks up your shape will help hide you. If a soldier using this kit were stood against a bare skyline (something they are trained not to do, obviously) then it might make them look like three small bushes- each too slim to hide a human, so not a threat. Better first ask Mr E.V. Lambert of Homeleigh, The Burrows, Oswestry about how well that worked out for him. The research paper mentioned describes calculations for a model working at a single microwave frequency ("wavelength 30mm at the frequency of 10 GHz."). No physical experiments were involved. Jie Sun et al., "Large-scale nanophotonic phased array" http://www.nature.com/nature/journal/v493/n7431/full shows a more interesting innovation from MIT in Cambridge Mass. working at optical wavelengths. Wednesday 23rd January 2013 12:49 GMT Robert Helpmann?? From the linked article: If we imagine a real-world example, this cloak could turn an aircraft — which has a very recognizable radar signal — into a small, indeterminate object, flanked by a couple of birds. Those would be some very fast birds flying just like real birds don't. Still, this has the very real potential of making hitting the target much more difficult. Handily most radars won't pick up the return from a bird sized object until it's far too close to be any use, which for some reason is never explained when these comparisons are made. It's up there with saying the radar on the Type 45 destroyer can detect a cricket ball travelling at Mach 3, of course it can, but how close does the cricket ball* have to be? They wouldn't be two swallows, by any chance? Carrying a coconut between them? Scattering using wave-dynamics, you say? Now create a tech that can transport this scattered object to another place. Hey presto! Transporter tech. You won't need cloaking if you can just transport the 'off' button out. any chance of these concentric rings of SRRs chinking when they move? Seriously? All you can come up with is a thinly veiled racial slur? He does need his own icon. The other solution is to get your enemies to wear sunglasses that turn opaque at the first time of danger. therefore if the peoples government says that it is invisible or pink or anything else, then it must be true, and if it is not true then you must be a traitor or heretic and need reeducation. Either that or they are publishing this to see how gullible the rest of the world are. The Battle of the Coral Sea (May 1942) went down in history as the first naval battle in which ships from the two sides never actually saw each other. I imagine some future land engagement will be "the battle in which soldiers from both sides completely failed to detect each others' presence in any way whatsoever". Did not Saddam Hussein's people use cell phone towers to detect low-level stealth or other aircraft passing through valleys and in other areas? I don't know what it would take to look down and mesh images with up-looking and beam-side-looking sensors, but, eventually this will lead to detecting so-called invisible aircraft. As for flak, mentioned earlier, make acoustic or sonic flak. Maybe drones or missiles can vector out to an anomaly, then humans assessing the purported object could decide to lob acoustic explosives out toward the perimeter of the object to screw with the sonics. Or, just lob explosive dye markers of the radioactive kind, like radioactive, flourescent dye to make them trackable. Once they realize they've been found, but not actually killed, they'll probably bug out/bugger off. Maybe there is an electronic version just the same, except once waves come back all out of sort, then sensing antenna could try to bathe the anomaly in increasingly hotter waves or beams if it is close enough to the antennal. Otherwise, it could cooperatively slave other radars to it to set up fire control freqs and prompt the anomaly to go hot and expose itself. Won't expose everything out there, but could give pause to the researchers. I thought they were using smog to camouflage their troops. Oh dear.